With Asus launching a range of gaming accessories at CES, it was only a matter of time before the rest of the gaming world revealed their 2018 lineup. 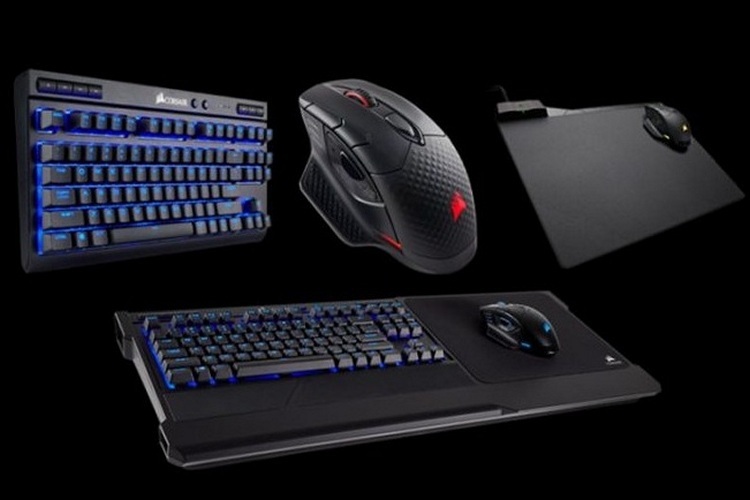 Corsair has unveiled a new mechanical keyboard, RGB mouse and a unique mouse pad with in-built wireless charging. Corsair claims 1ms 2.4GHz wireless connectivity for the K63 keyboard that comes with 128-bit AES wireless encryption to protect every keystroke from wireless eavesdropping by cyber criminals. The device also comes with long-lasting battery life, with the company claiming up to 15 hours of battery-powered wireless gameplay. 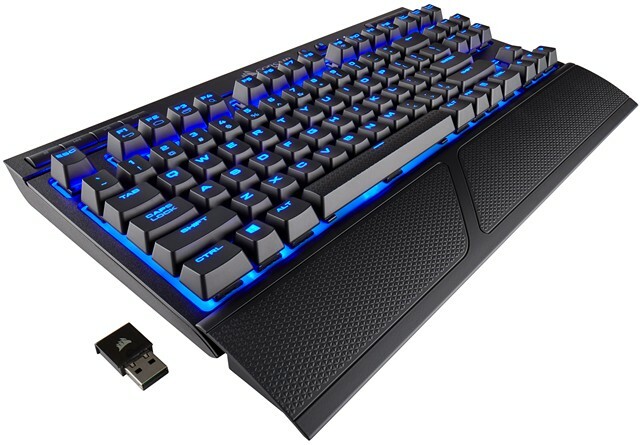 The device comes with a tenkeyless design for a compact form factor, and has gold-contact Cherry MX mechanical key switches with per-key blue backlighting. While wireless gaming accessories have been around for some time, gamers have traditionally stayed away from them because of the high latency, but some of the more recent devices, like the Logitech G613, have been relatively more widely adopted because of it’s no-lag nature. Corsair, however, offers one cool feature that the Logitech device doesn’t – customizable backlighting, with the help of the Corsair CUE software that can be downloaded from the company’s official website. Alongside the K63 keyboard, Corsair has also launched a new Dark Core RGB wireless gaming mouse. It features a 16,000 DPI optical sensor that can be manually tuned in single DPI resolution steps. 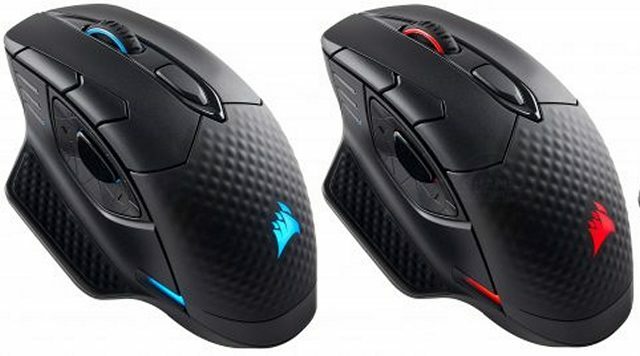 According to Corsair, the mouse will be able to last up to 24 hours of constant wireless gameplay even with the RGB lighting turned on in all its glory. The mouse also comes with an SE version that has an embedded Qi wireless charging chip. It can be used in conjunction with the MM1000 mouse pad that doubles up as a Qi Charging pad. According to Corsair, it takes about two hours for the MM1000 to charge the Dark Core RGB fully. The Corsair K63 is already up for sale on the company’s own webstore for $109. Corsair is also offering a lapboard to go with the K63 for $59. The combo is on sale for $159. As for the Dark Core RGB, the base version has been priced at $79, while the Qi-compatible version costs $89. The MM1000 charging mat comes with a $79 price-tag.